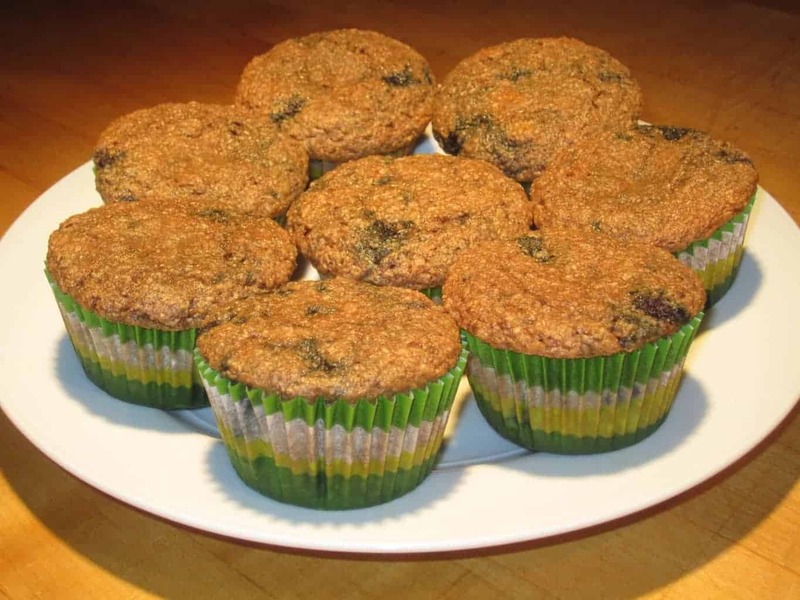 Blueberry Banana Flaxseed Muffins are moist, fluffy and bursting with freshness. 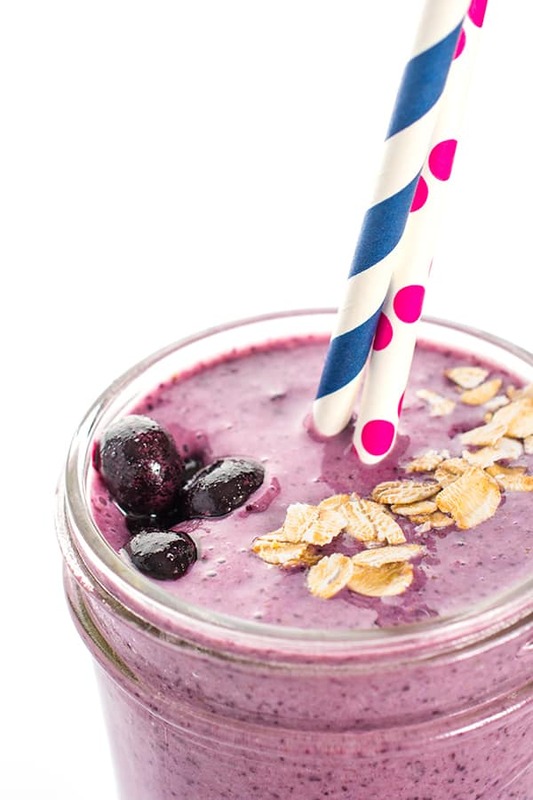 The coconut oil adds a subtle background flavor that pairs perfectly with the blueberries. Blueberries make me happy, especially when they are freshly picked down the road from my house. If you follow me on Instagram, you probably know that between farmers market trips and a recent blueberry picking adventure I am in berry heaven this time of year! Truly, I can’t freeze them fast enough – that is if my son doesn’t eat them all first! For the most part we’ve been enjoying them raw but they are also tasty in smoothies, pancakes, oatmeal, bread and more. Pre-heat oven to 400 degrees and line muffin pan with baking cups or spray with non-stick spray. In a large bowl, whisk together dry ingredients: whole wheat pastry flour through salt. 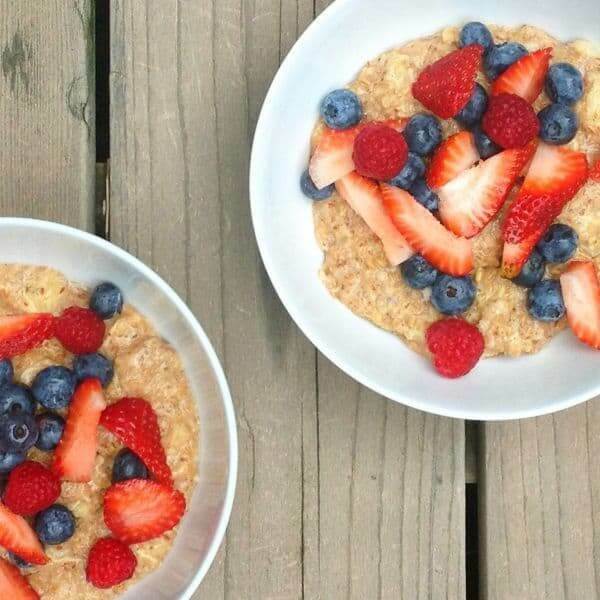 In a medium bowl, mix together yogurt, banana, coconut oil and vanilla. Slowly add the wet ingredients to the dry ingredients using a rubber spatula and mix until just combined. Carefully fold in the blueberries. Divide batter evenly into each muffin tin - a large ice cream scoop works well for this. Bake for 20-22 minutes or until toothpick comes out clean. Let muffins cool for several minutes before removing from the pan. I have all ingredients on hand aside from flax… Can I leave it out or should I wait to try these until I get some? You can just swap it out with flour! I was halfway through making these, but but had a sudden thought – no eggs? I’ll try the recipe as is. I’m so glad they worked out! Forgive me – it should be softened but not fully melted!! I have never used coconut oil before but bought some, do I melt it first in this recipe? If so, is it 1/3 cup solid or melted? Thanks! Softened but not fully melted! Great question – I’ve updated the recipe to be more specific! Enjoy! There is something comforting about the hot milk and the coffee combined in fresh deliciousness, so I would make A LOT of lattes. Thank you so much for the opportunity to win such a lovely prize. I only recently found your blog, but am enjoying the emails immensely. You’re too sweet – thank you Lynn! Welcome! I’d make some straight up strong lattes with upcoming fall seasonal syrups! 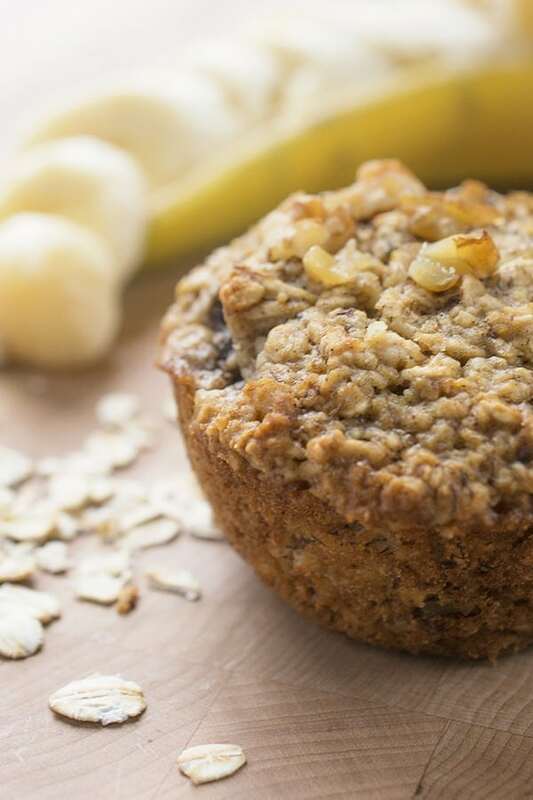 I love the muffins – so many good things in one little bite. I am loving baking with coconut oil lately – so much great flavor! This would be so awesome!! I would make lattes and everything! I used to go blueberry picking at U-pick it farms in Oregon, too… just like another gal who left a comment. Small world. These muffins look great. Can you tell me substitute for coconut oil? I am seeing that ingredient used more and more these days but live in a smaller town where the prices at the local health food store are through the roof. Your blog is really nice. Kim – Just use canola oil instead of coconut oil!! No problem at all. Thank you for your nice words. Enjoy! I’d be making cappuccinos like they were going out of style! I love salted caramel lattes! Thanks for this opportunity! I would love to make a French Vanilla latte to enjoy with these muffins! Yum!!!! !